So, that’s what they look like! 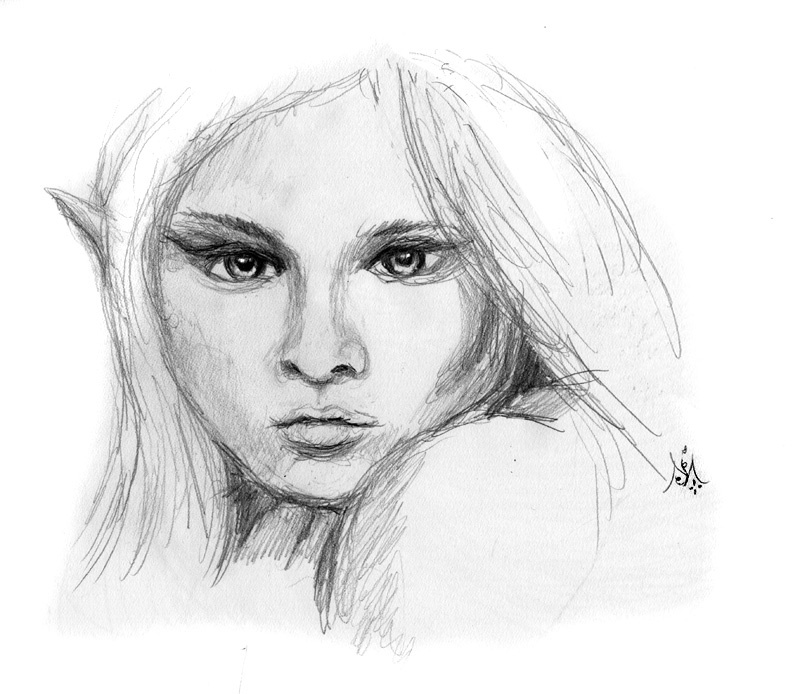 I know that elf children were few and far between….Tolkien says that because elves for all practical purposes never left Middle-earth, too many children would likely have meant disaster, so my suspicion is that Elves had a very low fertility rate. But, my best guess is that they would have been stunningly beautiful children. Maybe it could elf kids singing the tra-la-la-la-lee song in the movie! Hey, it could work! Hey, that’s a good idea (about the elf children singing in the Hobbit) … someone should call Peter! I love how her eyes seem to have an agelessness about them. Beautiful. Does she have a name? Ah! Good question! I’m sure she does, but she hasn’t told it to me thus far!